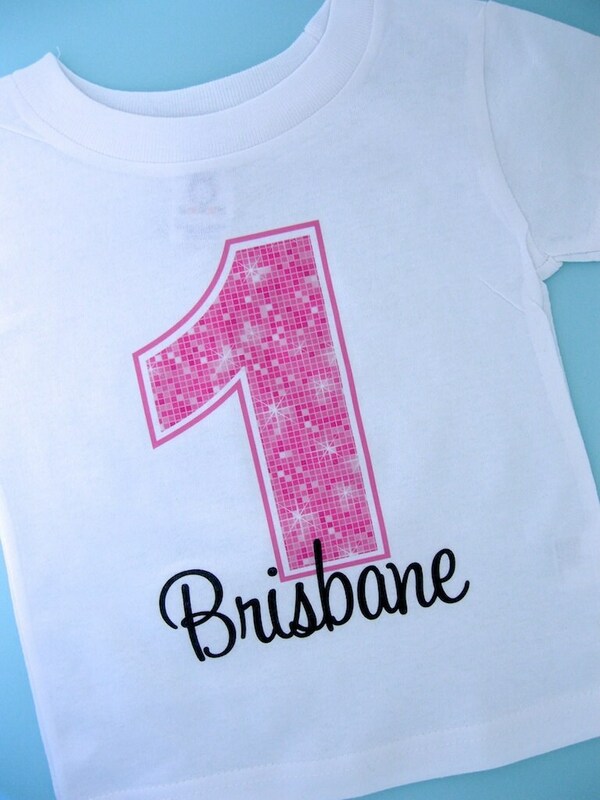 Girls Pink Number Birthday Shirt for First Birthday. 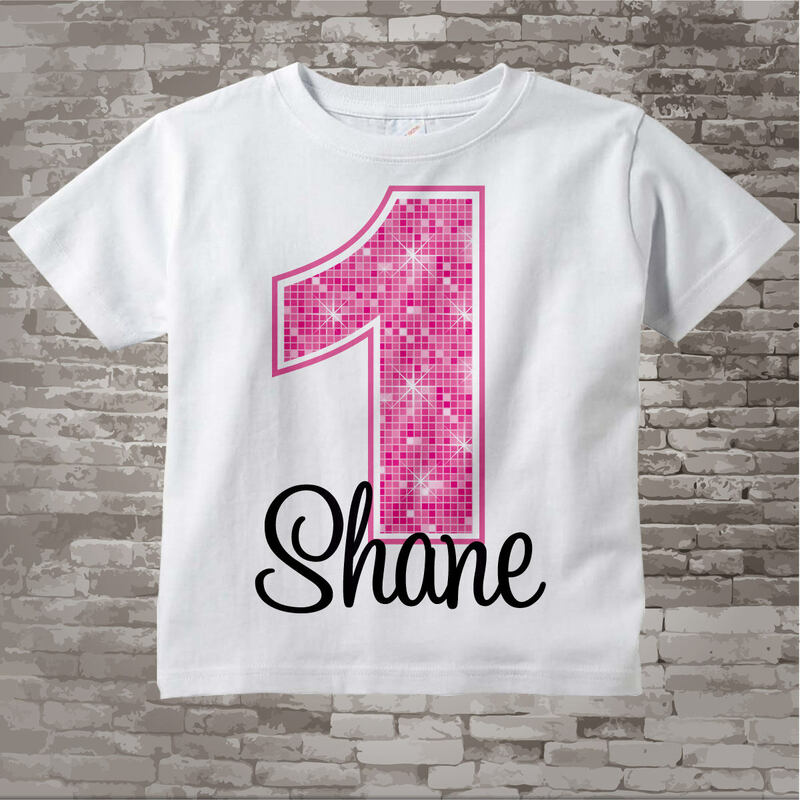 This Tee Shirt or Infant Onesie, can be personalized with any name or with any nickname along with the Big Pink number of their age. If your little girl just loves pink, this design is perfect for her. I absolutely love the onesie!!!! 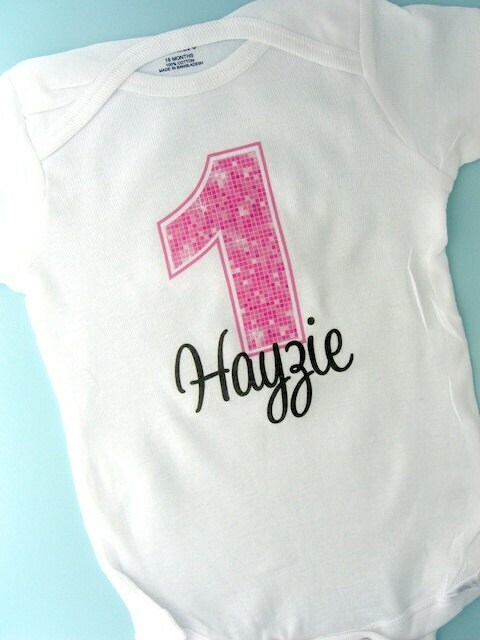 I can't wait for my little one to wear it for her 1st birthday!!!! It came out just how I was envisioning it!!! The seller it so helpful as well! She responded to my questions promptly & helped me out without any hassles!!! Will for sure be purchasing more tees for future celebrations!!! Very nice, perfect fit and quality. On time delivery and great communication with seller. Made it in time for my daughters birthday! I love the onesie!! I absolutely LOVE this onesie!! it is perfect and exactly how I wanted it to be. it was a real pleasure doing business with you. and a BIG thank you for the fast shipping! !